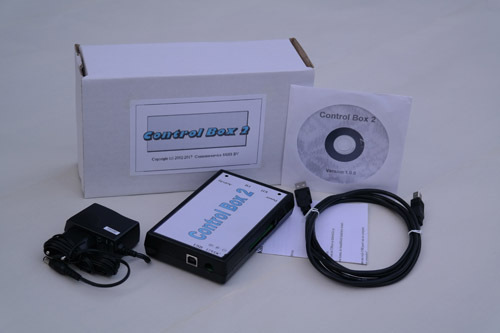 The Control Box 2 package (CB-2) consists of the CB-2 box (pictured above) and CB-2 software. Using the CB-2 package you can knit patterns on the needlebed of the KH970. The CB-2 package replaces the CB-1 for knitting patterns. No extra software is required. The support for DesignaKnit is an option because not all KH970 users own DesignaKnit. The CB-2 DesignaKnit Link option is fully integrated in the CB-2. You no longer need a cable and a magnetic switch. Prices are including 21% VAT, excluding shipping cost. Shipping cost Netherlands: Euro 8 per order. Shipping cost Europe: Euro 15 per order. Shipping cost other countries: email for quote.